It’s a sunny mid-August day, just a few days before the arrival of Typhoon Soulik on the Korean Peninsula. Standing in front of a photo studio in tourist-friendly Sinsa-dong, Seoul, 27-year-old Park Chang-wook is about to brave a storm of his own. Having just returned to South Korea after a couple of years working in New York City as a graphic designer, Park is embarking on a rather formidable journey -- job-searching in his homeland, where the unemployment rate for young people between the ages of 15 and 29 recorded 9.3 percent in July. To re-assimilate into the Korean lifestyle and to increase his chances of getting a job interview, Park has begun something of a metamorphosis. “Back in NYC, I had a very full facial hair and I grew my hair down to my shoulders and tied it in a bun,” says the clean-shaven Park, whose hair is now neatly trimmed at the nape of his neck. 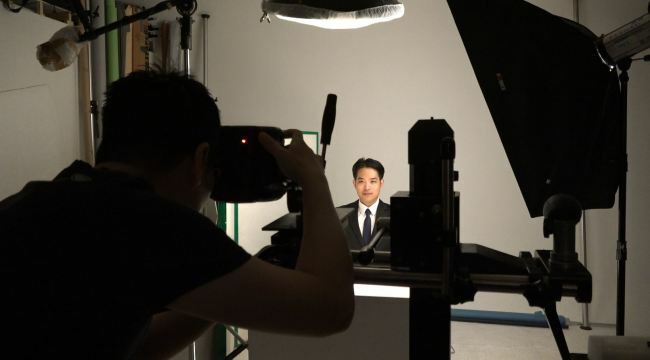 “I think I do stand a better chance by cutting my hair and dressing a certain way,” says Park, seated on a stool under the bright spotlight of the photo studio. The photo is another small concession for Park. At the direction of the photographer, Park straightens his suit jacket, thrusts out his chest, and raises the corners of his lips in a subtle smile with an earnest gaze. After the shoot, Park sits next to the photographer, watching the man alter and “enhance” his facial features with Photoshop. This photo will be affixed to Park’s cover letter for Korean conglomerates. Park’s feelings are mixed as he watches the photographer change his face. Bits of stubble disappear from his chin, his nose gets narrowed down, and his eyes and lips become more symmetrical. He realizes how flat his hair was as the photographer puffs it up. His neck gets a little longer, his shoulders a little broader. “I think (what has just happened is) tantamount to digital plastic surgery or digital manipulation of a person’s face. While I feel my individuality dulled, one side of me thinks that it’s completely necessary in Korean society as a whole right now to undergo, or be a subject of constant judgment in terms of superficial (things),” Park says. Having acquired a more homogenous, and more “acceptable,” headshot, Park says he feels like a more hirable candidate for a corporate job. At the same time, he knows the photo does not represent him, but a version of him that other people want to see. Photographer Ko Suk-min expertly gives directions to the first customer of the day at his studio in Sinsa-dong. He wants this future job applicant to smile, but not too much -- to look confident, but not arrogant. Sitting side by side with Park in front of a computer screen showing his subject’s magnified face, Ko provides uncensored comments on the intimate details of “flaws” on Park’s face that could be improved through digital correction. “Symmetry is a must, but making everything match left and right isn’t the answer to everyone’s face. It’s more about striking a balanced ratio of face and body and the features within,” Ko said. The purpose of identification photos is indeed to identify a person, so it would be nonsensical to alter the photo so much that the person is unrecognizable. 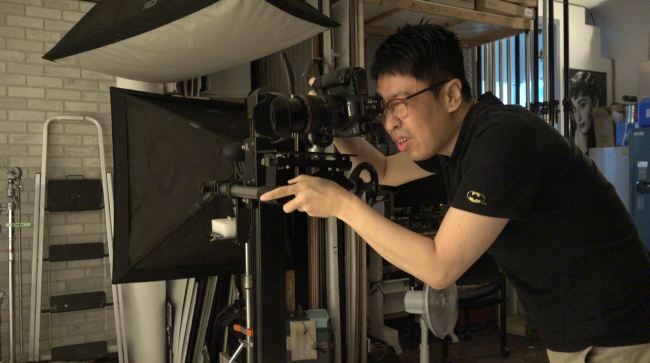 The reason for the Photoshop correction process, Ko says, is ironically to bring out the “natural” qualities of the breathing, smiling person that can’t be captured in the instant that it takes the camera to get a still shot. “A portrait photograph really does not capture the essence of the person. When you meet somebody in person, you see them smiling, frowning, serious or funny -- all of this is considered before you decide on the impression of the person,” Ko says. A single photo never does justice to the person. A job applicant must give the impression that he or she is reliable and organized. To that end, Ko fixes the uneven hairlines and tidies up any asymmetrical parts of the face. “It can go on to show the sincerity and manners of the applicants, that they took the effort to present themselves (in their best light) for the recruitment assessment,” Ko says. Ko’s opinion is reflected in a recent survey conducted by job-search engine Job Korea, where 27 percent of the 993 office workers surveyed said they would hire celebrity Park Bo-gum for his likeable, gentle image, and Park Bo-young for her smiley face and polite attitude. Ko said among his clients, Chinese, Japanese and people from Hong Kong especially appreciate the service. But are the photos actually helpful, or relevant? State-owned companies and an increasing number of private companies do not require photographs from applicants, partly due to the inefficiency of the system. Kim Wan-jin, who works for a corporate human resources team in Seoul, said his firm stopped requiring photos in 2016. “Photographs are unnecessary,” Kim said upon being asked what had prompted the decision. While it was around the time of the decision that the “blind” recruitment system was gaining public recognition as the fairer method of hiring, and what a respectable company would do, there were plenty of other ways to identify an applicant that made photographs irrelevant. “For example, if an applicant forgets to bring his or her identification card, then we can ask them about their school, the (last four) digits of their mobile phone, or other things on their CV,” Kim said. Yoon Ji-yoon, also working for an HR team at a different conglomerate, said that while her company still requires photographs, they are not points of evaluation. “Looks are not what we’re looking for,” Yoon said. 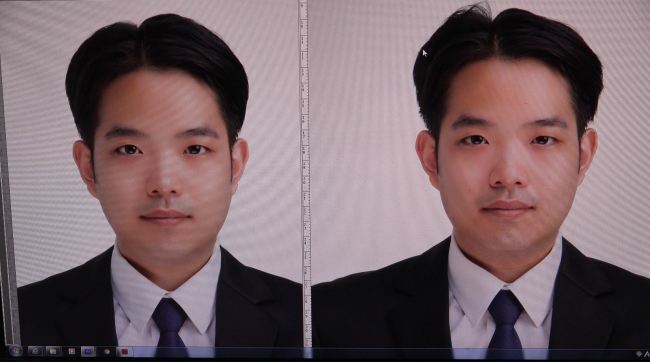 The photos are only used to identify the candidates when they come in for interviews -- but even so, the company’s decision makers have discussed the possibility of discarding the custom because the Photoshopped images do not match the real person anyway. Are the applicants fooling themselves by including an identification photo on their application letters? “I wasn’t explicitly asked to, but I still put my photo in my job application,” said Lim Jee-song, a 23-year-old job seeker in the field of fashion design. Lim didn’t give much thought to her decision to add a photo to her CV -- she thought a visual representation of herself would only complement the words. It didn’t feel like something that would work against her, at least. “I had confidence in the photo. It came out well,” Lim said. She had had her hair and makeup done professionally for the shoot. Lim’s preferred field of work, fashion design, is one where looks count. “That I can attest to the (content) of my CV by putting a face next to my name on the paper, I believe I am being responsible, and showing confidence in the tasks involved in the job I’m applying for. It can also increase the management’s interest in meeting me in person at the interview,” Lim said. Leaving the underground photo studio and stepping out into the blinding sunlight, Park squints against the sun. Packing the small paper sleeve containing multiple printed photos of his “corrected” face in his bag, Park says the photo was done more out of necessity than voluntarily. Because other people also go through the same process of enhancing or improving superficial portraits of themselves, Park believes it’s become a social norm for all.